If you haven’t heard yet, Bella Hadid and The Weeknd have split after their two-year-long relationship. It looks like the supermodel isn’t immune from doing what the rest of us do following a break-up: Cleaning up her wardrobe. Before the split, Bella’s staple accessory was her “Abel” necklace, which is The Weeknd’s real name. Post-breakup, Bella seems to have ditched her “Abel” necklace and replaced it with a piece baring her own name. This accessory change is a subtle statement that might be a reminder for Bella that self-love is important whether you are in a relationship or not. Some breakups can be extremely saddening and draining, but it looks like Bella is one tough chick, who will do just fine without a boyfriend. And we are totally digging her cool, independent girl style! 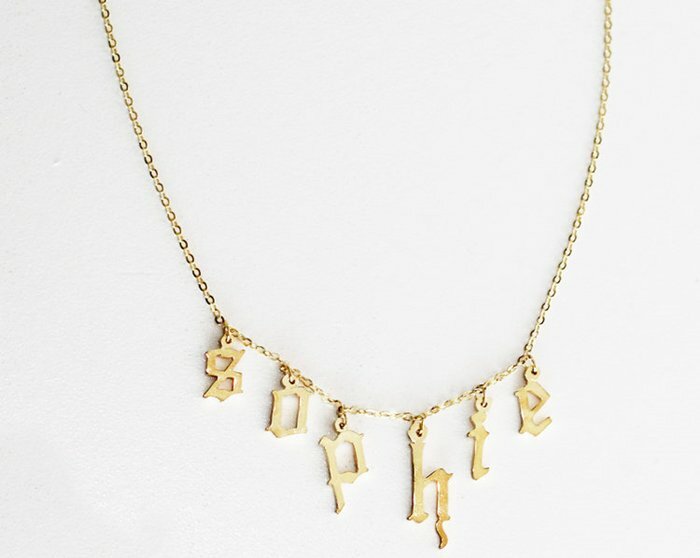 Copy Bella’s personalized necklace style by grabbing one of our picks below.